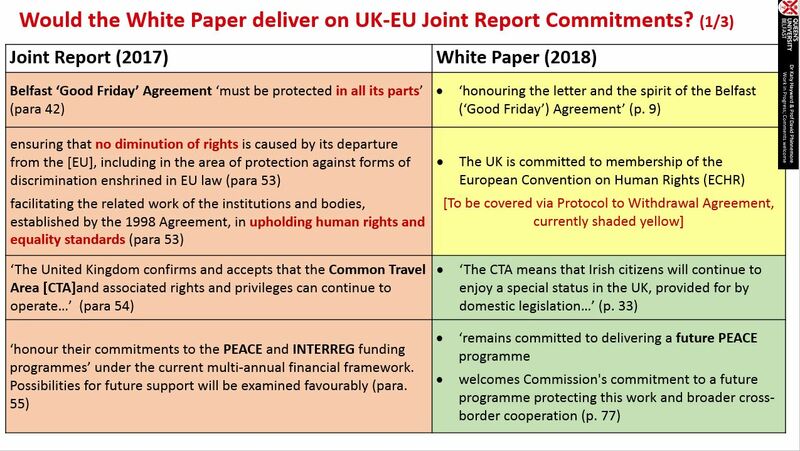 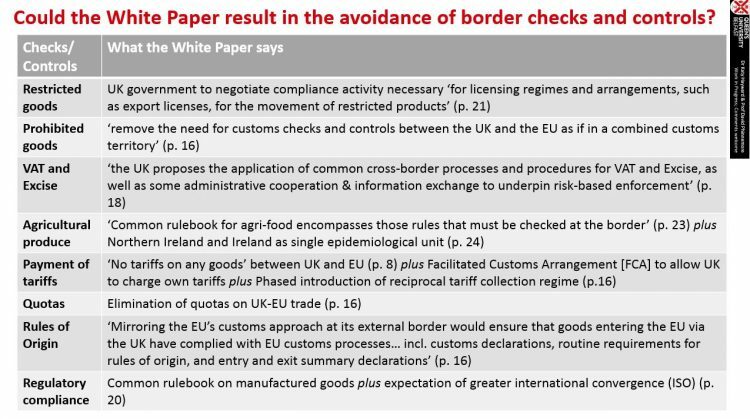 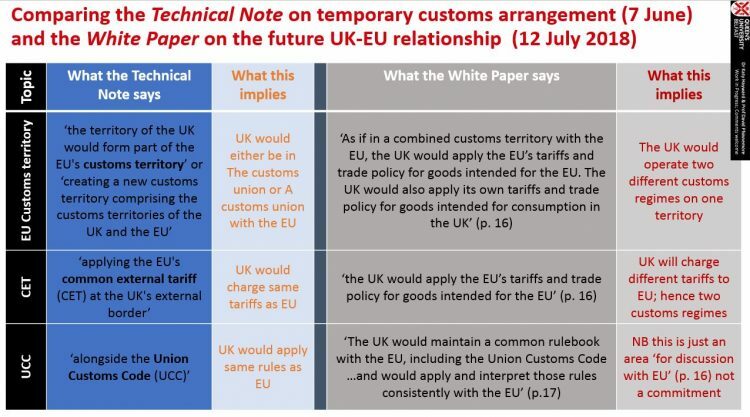 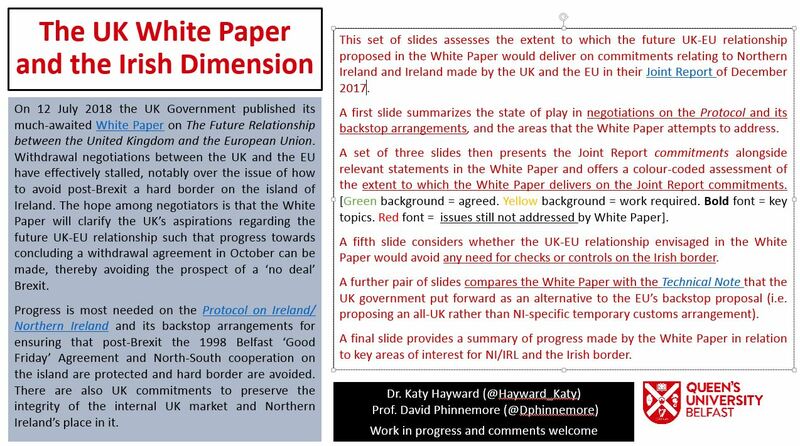 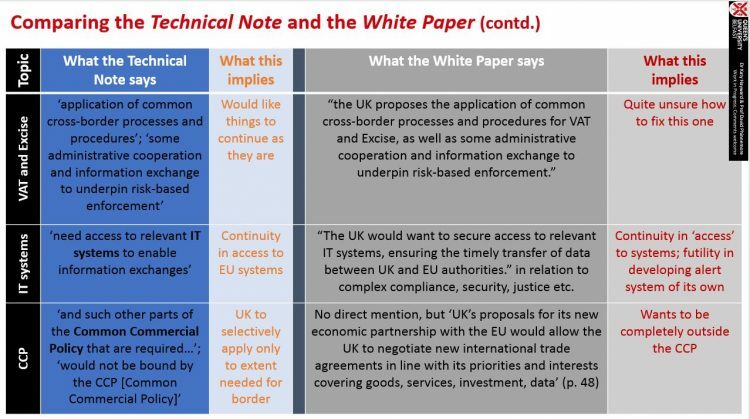 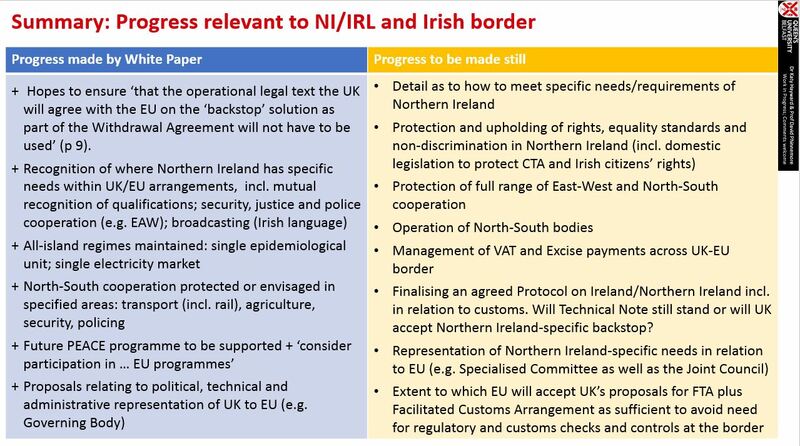 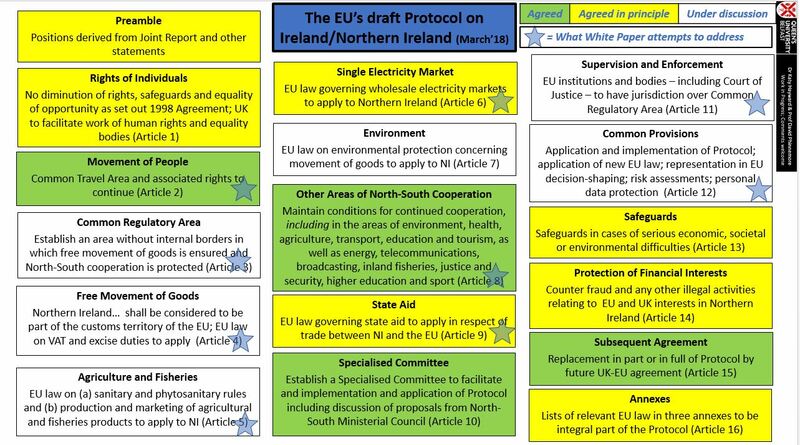 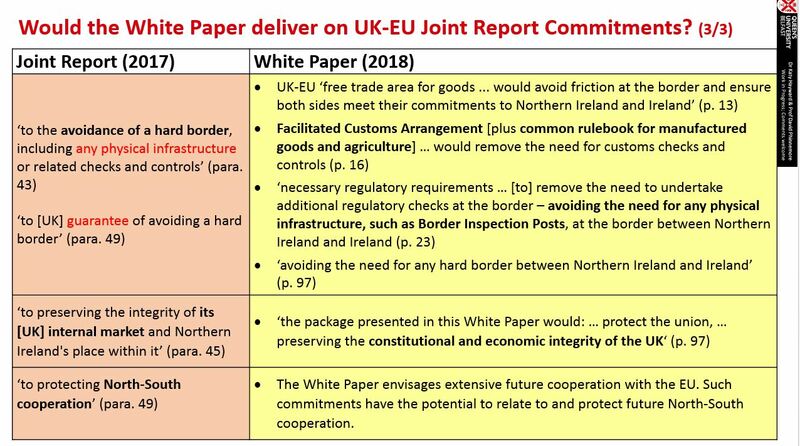 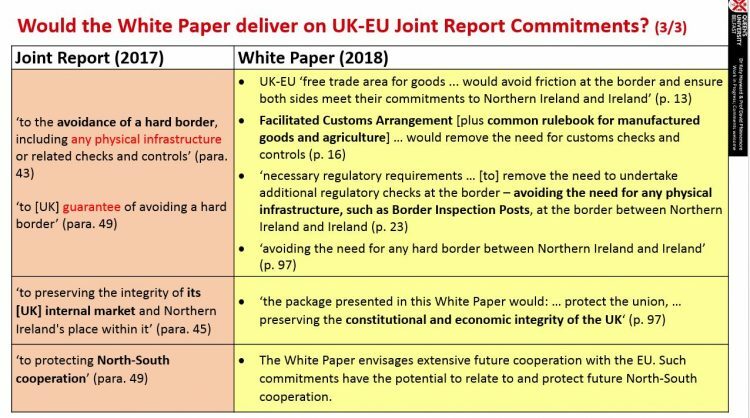 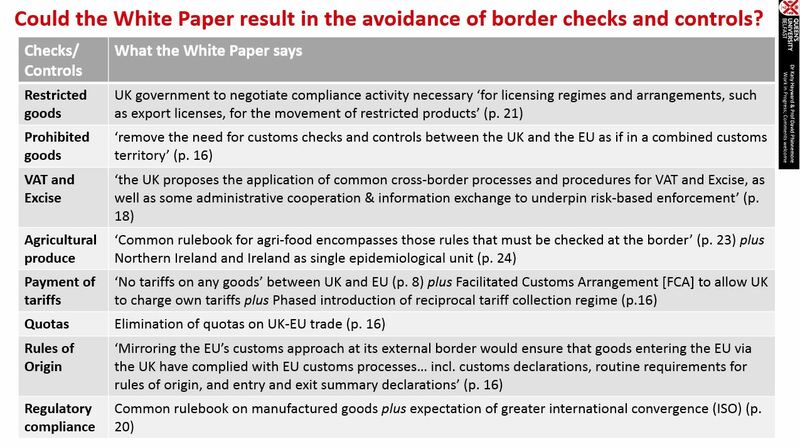 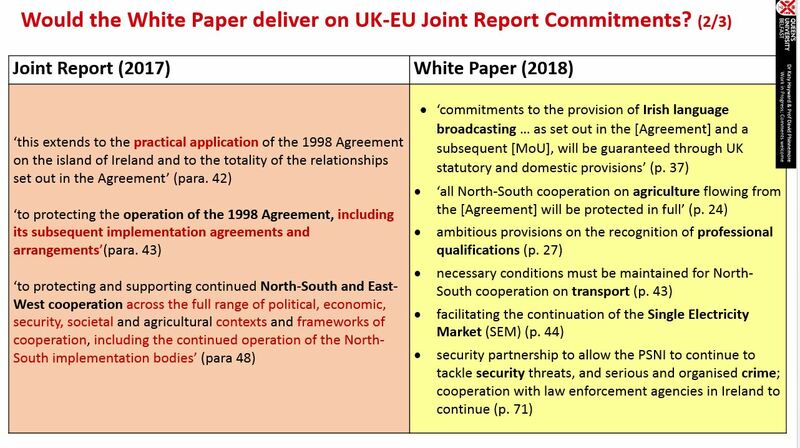 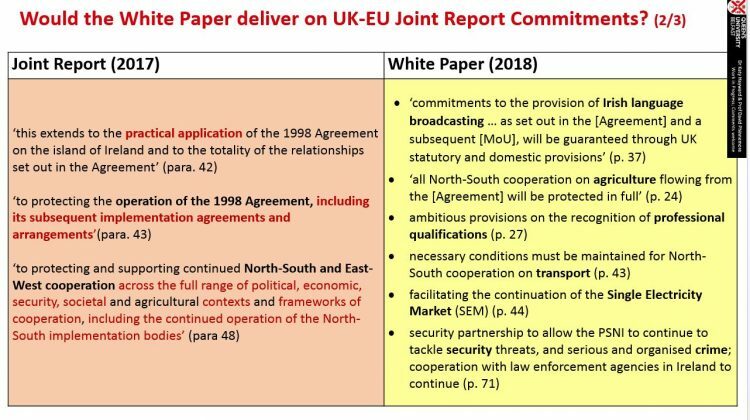 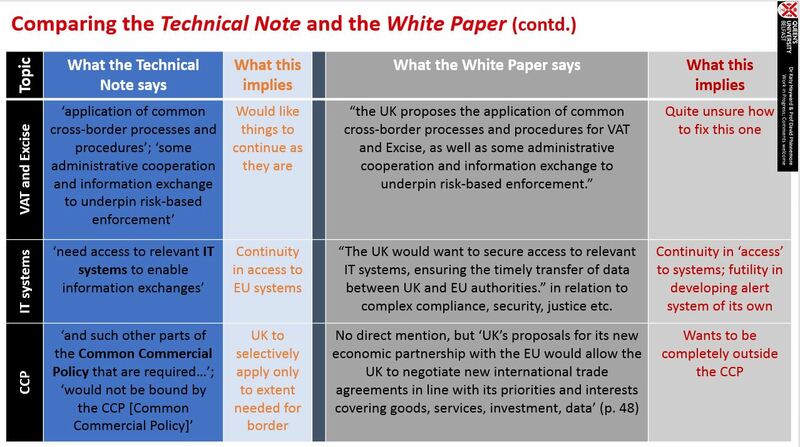 The following set of slides assesses the extent to which the future UK-EU relationship proposed in the UK government's recent White Paper would deliver on commitments relating to Northern Ireland and Ireland made by the UK and the EU in their Joint Report of December 2017. 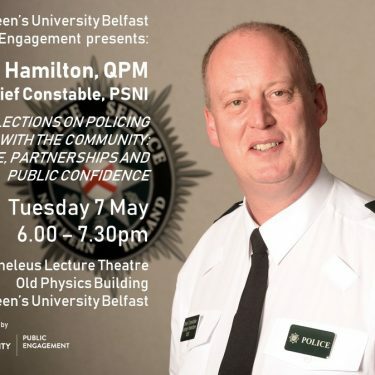 Click on each slide below to view or to download the slideshow, please click here. 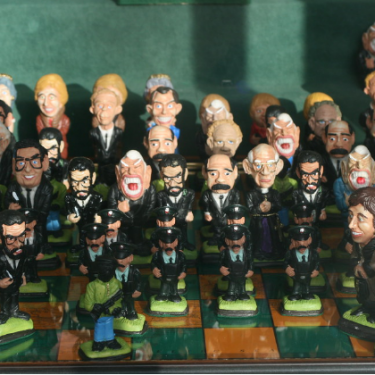 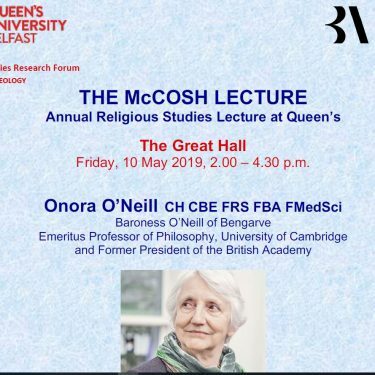 David Phinnemore is Professor of European Politics and Jean Monnet Chair in European Political Science in the School of History, Anthropology, Philosophy and Politics at Queen’s University Belfast. 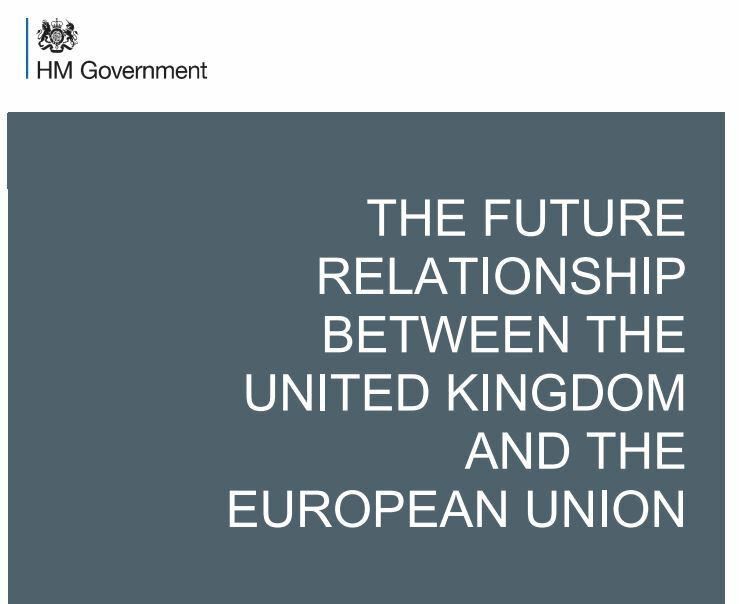 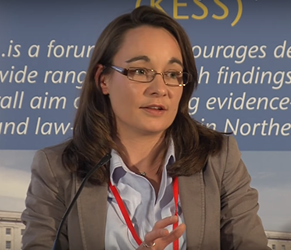 David’s research interests cover EU treaty reform, EU enlargement, EU external relations and alternatives to EU membership, particularly association.